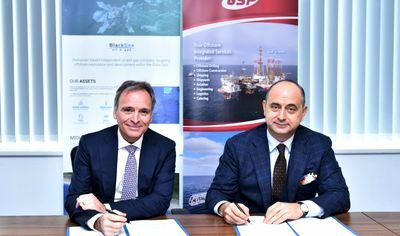 Black Sea Oil & Gas SRL (“BSOG”) together with its co-venture partners, Petro Ventures Resources and Gas Plus International announced on Thursday that they had approved the Final Investment Decision (“FID”) to proceed with the USD 400 million Midia Gas Development Project (“MGD Project”), offshore Black Sea. The FID “has been taken in good faith and on the assumption that BSOG and its joint venture partners will successfully be able to restore all of their rights with respect to the removal of any newly imposed supplemental taxes and fees as well as removing any restrictions, in accordance with EU Directives, on the free movement of gas on a fully liberalized market in order to not only make MGD Project a viable investment but also to encourage further gas developments in the Black Sea”, the company states. The MGD Project, which is the first new offshore gas development project in the Romanian Black Sea to be built after 1989, consists of 5 offshore production wells (1 subsea well at Doina field and 4 platform wells at Ana field) a subsea gas production system over the Doina well which will be connected through an 18 km pipeline with a new unmanned production platform located over Ana field. 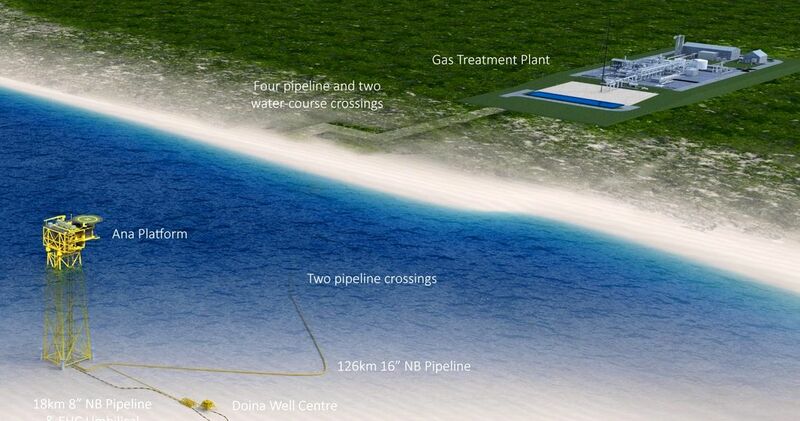 A 126 km gas pipeline will link the Ana platform to the shore and to a new onshore gas treatment plant (“GTP”) in Corbu commune, Constanta county, with a capacity of 1 BCM per year representing 10 percent of Romania’s consumption. The processed gas will be delivered into the NTS at the gas metering station to be found within the GTP. BSOG has secured a long-term gas sales agreement with a Romanian subsidiary of ENGIE. The contracted volumes refer to all MGD Project gas production, reduced by the volumes that the producers are currently obliged to sell on the centralized market. BSOG has also secured a gas transmission contract with Transgaz for the transport of the MGD Project production into the National Transmission System (“NTS”) for a contractual period of 15 years. BSOG is pleased to confirm that all the contracting activities for this project will, in total, have Romanian content of roughly 70 percent.